unpopular opinion here, but ive seen quite a view videos & pictures of the new Waldorf and i simply cant see why anyone would pay upwards of $1,800 to stay in an island that is overbuilt, ugly and essentially everything that the maldives shouldn't be. ive been to the maldives 5 times (visiting 5 different islands) and ive yet to see a resort island that looks as unnatural as the Waldorf (except for maybe Centara Ras Fushi & the Sheraton!). its very clear by the unique shape off the island that a lot of the sand has been artificially pumped, and the island does not appear to have any sort of big blue lagoon that is typical of maldivian resort islands. the water villas are built in extremely long lines with a very narrow lagoon infront of them which in my opinion will make swimming not so enjoyable as the reef drop-off is so close by. yeah the rooms are really nice but you can get nice rooms in dubai or other locations.. what makes the maldives a special destination is the sheer natural beauty of the island and its surroundings, and the Waldorf appears to lack all of that. while the conrad (or, even better, non US hotels such as Anantara Kihavah, Amilla Fushi, Vakkaru etc ), are seemingly less luxurious, they provide for a much more quintessential maldivian holiday. llfoster, Traveler Dave, dcht and 1 others like this. And I would not expect the standard award price to be 95000 points..
95,000 is the max standard award price. If it is more than that it would be considered a premium award. Online booking is open. I could not find standard rewards offered at any time...all premium rewards. Rates in Sept appear to start at $1800...jumping to $2200 in October. Good luck to them - not clear to me how they'll fill rooms at those rates while the resort recovers from development, landscaping fills out and the staff figure out what the hell they're doing. Good luck to them - not clear to me how they'll fill rooms at those rates while the resort recovers from development, landscaping fills out and the staff figure out what the hell they're doing. LOL. 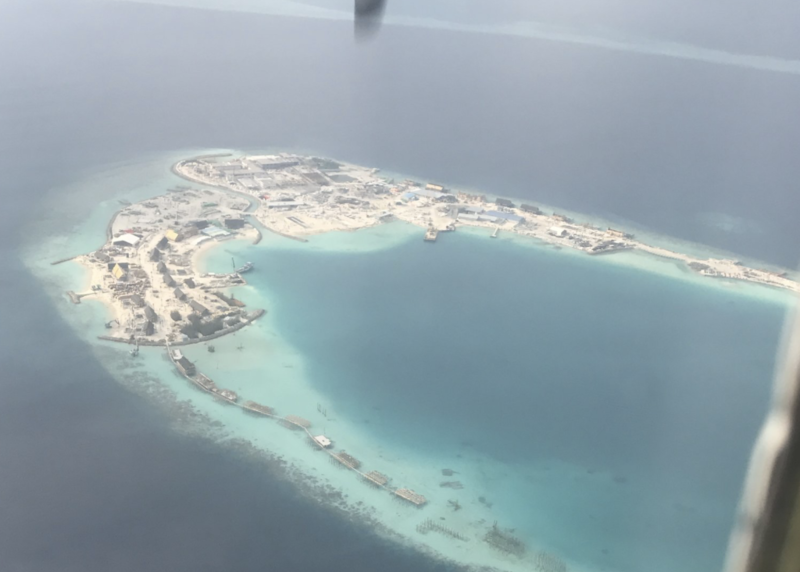 I have to say I agree with you although mainland China is a huge market and they will be seriously pushing the resort there, especially as the last week of June and all of July and August are school holidays there and during those 2 months up to 2/3 of the tourists in the Maldives are mainlanders. I live there so I'm going to start asking my travel agent friends if they've heard of this new resort yet and what kind of packages they are doing. There will no doubt be some good deals but whether they'll offer them to the ROTW is another story. A couple years back there were some deals for the Conrad that were only available to Chinese customers in mainland China (required Chinese pax w/Chinese passports, not just booked through those agents) so let's see how it plays out on that front. 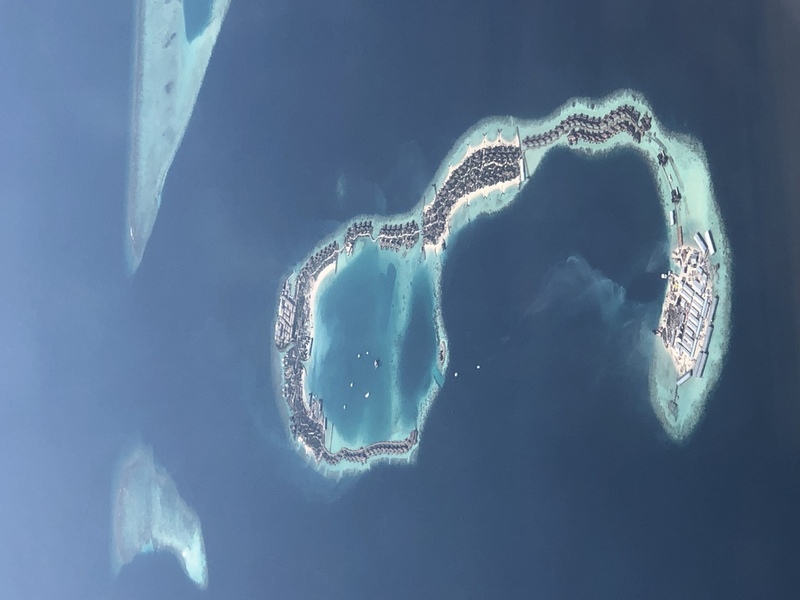 and i simply cant see why anyone would pay upwards of $1,800 to stay in an island that is overbuilt, ugly and essentially everything that the maldives shouldn't be. ive been to the maldives 5 times (visiting 5 different islands) and ive yet to see a resort island that looks as unnatural as the Waldorf (except for maybe Centara Ras Fushi & the Sheraton!). its very clear by the unique shape off the island that a lot of the sand has been artificially pumped, and the island does not appear to have any sort of big blue lagoon that is typical of maldivian resort islands. the water villas are built in extremely long lines with a very narrow lagoon infront of them which in my opinion will make swimming not so enjoyable as the reef drop-off is so close by. yeah the rooms are really nice but you can get nice rooms in dubai or other locations.. what makes the maldives a special destination is the sheer natural beauty of the island and its surroundings, and the Waldorf appears to lack all of that. Well, maybe the SAii Lagoon Curio comes into the essentially everything that the maldives shouldn't be category. I agree with the fact that there is a serious lack of natural flora. The fact that a lot of the resort's area is mostly reclaimed land certainly makes it feel artificial. Conrad has tons of what this resort doesn't. I'll go once just because it's new and it will be interesting, however I don't expect it to hold my interest for multiple visits like Rangali does. Regarding the lagoon, I have to disagree with you there. Where the main islands are situated there is a perfectly normal lagoon. The six boats in the picture above are in the lagoon and it's plain to see that the water isn't that deep even right in the middle. The water in the middle of Rangali's lagoon between the 2 islands is deeper than that. As for swimming and beaches, you have to take into consideration the size of the resort and then calculate roughly how wide the beaches are and how far out the depth increases. For example, the middle section of the resort with the beach villas (the strip where the Welcome Centre is located) looks to have at least 10m of beachfront and then 30 or 40m of reasonably shallow water before it gets to any dropoff / deep water. The BVs on the other side of the resort are a different story, however. Added a Pictures (resort under construction) section to the wiki to show, in chronological order, the resort and how it has evolved. Also changed opening date to reflect latest change. pineapple_09 and sambo150 like this. No harm in trying both! I think the colour(s) of the water isn't going to be a problem.....it's what's on the other side(s) that's going to spoil the view. And another thing. Why the heck have they not made a fully overwater restaurant. Baffles me, considering Rangali has 2. Just booked 26-31 December for 480,00 points, reservation went through smoothly! Under 500K for 5 nights is not too bad, considering. And thanks for the heads up! Hmm...just called the telephone number and it's switched off or out of coverage area. Must be a mobile. Surprising for 1:46 in the afternoon. Having a nap maybe? 120k Hilton pts for WA is similar to 60k Marriott pts for St.Regis. So overall I think I am not shocked or outraged at 120k and the cap being lifted. I have 6 nights booked at WA following 6 nights at St.Regis in order to compare! How does it make sense that it can go to 120K / night? I guess it doesn't have to make sense. It's what they charge. Better than no standard award availability. I just canceled my Rangali Island reservation and booked 5 nights here for 480,000 in early July. Plus using a free night certificate for the sixth night. And possibly another free night certificate for a seventh night if it arrives next month and there is still availability. As a heads up, when I called to apply the free night certificate to the room the phone agent initially thought it was an invalid night to use the certificate, premium room only, because she saw 120,000 and had never seen that for a standard award before.